As the Fourth of July draws closer and closer, many families are scrambling to make the most of their summer fun. This feels like midpoint in summer, pushing many who have squandered their time indoors to strike out and create amazing memories. If you’re planning visiting beautiful Estes Park this summer, our unguided ATV tours are the perfect option for those looking for an adrenalized adventure shredding up and down the trails in one of our new Tomcars. Estes Park ATV Rentals is proud to be your source for the best experience, relying on our ultra-tough machines to pave your way through the unknown. Your machine will be gassed up and ready for you at the trailhead, all you need to do is show up and sign on! Estes Park sits just above 7,500 feet, a relatively low point considering the tall peaks in close proximity. Guests can quickly jump in elevation when enjoying their ATV riding adventure. It’s important to plan ahead if you are new to the area, as even the most basic activities can be strained by less oxygen. Today, we’ll highlight a few basic tips to help you acclimate before visiting our beautiful town. If you’re looking for a memorable time for the family, be sure to call us for your reservation! H2O. Being comprised of 60-percent water, we rely on this liquid to keep the body regulated and healthy. Simply put, humidity is lower at higher altitudes, making the air drier for your skin. Many people sweat a lot in higher elevations, many without realizing it. Less oxygen also equates to moisture loss through respiration. In fact, professionals posit that individuals lose twice as much moisture through breathing here in the Centennial State compared to sea level! Enjoying your time may result in less thirst quenching, resulting in dehydration very quickly. It’s essential to focus keeping your body hydrated, as this factor helps greatly for those dealing with altitude sickness. This problem has been known to strike people just over 8,000 feet, making it important to plan ahead in case you start to feel ill. Altitude sickness and dehydration present the same symptoms, making it hard for guests to the state to determine what their ailment is. If you are dehydrated, drink up. If you begin to feel sick from the height, we recommend heading to a lower altitude, fast! Those struggling with the air at our high elevation will find it difficult to perform the most basic aerobic activities. Less oxygen means your body will have less of the precious gas to be transported throughout the body, straining your cardiovascular system and requiring greater overall effort. Guests who are new to the high elevation may quickly tire out after the most basic exercises. We recommend taking your time to acclimate, and keep in mind that any movement you make now will be taxed more heavily. Even high-endurance track stars are recommended to use caution when visiting! Colorado is a land of many activities for people of all ages, providing all types of entertainment. If you’re planning on partaking in a little booze while staying in Denver or Estes Park, it’s important to keep moderation in mind. Football fans everywhere know the advantage of our Mile High moniker, as field goal attempts tend to go 10 percent farther. Thinner air up here means less equals more. Alcohol is one substance that is enjoyed nearly in every part of the world, but if you’re planning on making ATV tracks, we recommend taking it easy. Less oxygen also equates to more alcohol potency, delivering stronger effects for the drinker. Remember that alcohol can also dehydrate you, putting your body at a disadvantage while riding up and down our amazing trails. ATV riding while intoxicated is prohibited, so we won’t even go there! Certain nutrients will prove helpful on your high-elevation trip, so be sure to plan ahead and eat right to make the most of your time here. Higher altitudes equate to faster hydration, creating a possible electrolyte imbalance that can leave you feeling worn out. Investing in healthful confections such as granola, bananas, avocados, celery, and other beneficial options help to provide essential elements such as potassium to the body. Being a mile closer to the sun creates a strong need for sunscreen in Denver, and demand is no different in our neck of the woods. Our state statistically has 300 sunny days a year, much more than Miami’s average of 74! If you combine this stat with the fact that our elevation makes the sun 25 percent more intense, it should be easy to see why UV protection is a smart choice. Pack your hats, sunglasses, sunscreen, and chapstick accordingly! 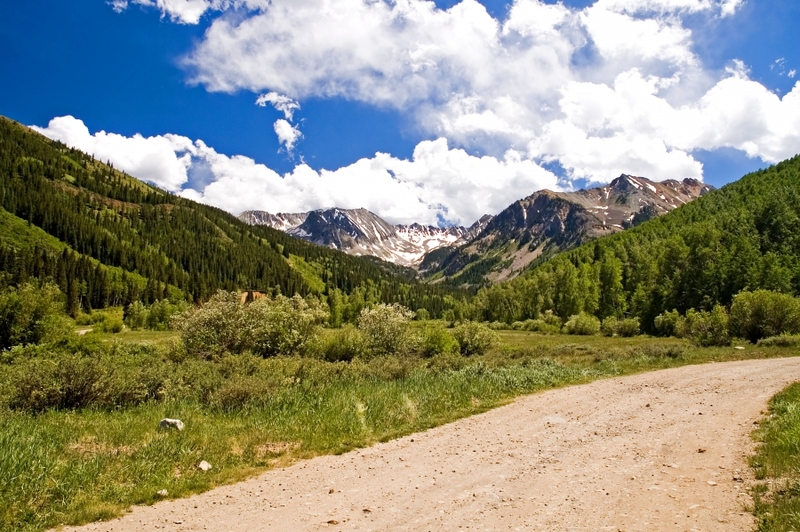 ATV rentals can be the perfect option for amazing outdoor adventures this summer, but remember that Colorado is famous for its unpredictable weather. The July heat can quickly disappear above the treeline, as continual winds and the presence of snow pack works in tandem to cool the area off. Unexpected storms can also bring a wide range of weather woes, making it important for your family to plan ahead when traveling to this elevation. Colorado is home to some of the most amazing natural areas in the country. Roosevelt National Forest is the perfect place for your family to have a memorable adventure, featuring the best views and wildlife for fans of all ages. This beauty comes with the dangers of high elevations, making it important to plan ahead and take proper precautions for the best results. If you’re looking for quality ATV rentals in Colorado this summer, our team is here and ready to help! Estes Park ATV Rental is here to serve as your source for the best adventures, providing our durable Tomcar vehicles to let you make the most of our unguided ATV trails. Contact us today to learn more about our adventures or to create your own!